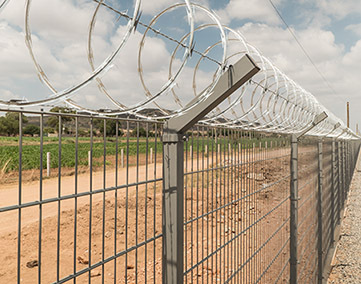 Regama del Bajío a fence contractor dedicated to the distribution, sale and installation of steel mesh fencing, chain link mesh fencing and other products to protect, maintain privacy and enclose your land or property. No worries if you don’t know any Spanish as we speak English. Whether it is a plant facility, industrial park, warehouse, construction site, school, park, residence, open land, etc we can help in demarcation of your property. 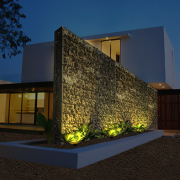 We distribute and install all REJASTARK brand products in the Bajío region such as Queretaro, San Miguel de Allende, Tequisquiapan, Celaya, Leon, San Juan del Rio among others. 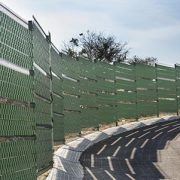 6-gauge steel fences; folding / sliding doors and gates; gabion fence; electro welded gabions and triple twist mesh gabions. Other products are cyclonic mesh; Offering all gauges and openings (gauges of 13, 12.5, 11.5, 11, 10.5 and 9). We have poultry and livestock fences, with T type pole (light and heavy), and electric fences. 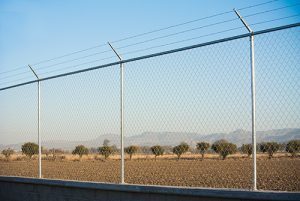 Wide range of accessories such as black, galvanized and special pipes (10, 20, 30, 40 and 80), barbed wire, razor wire, safety peaks, P.V.C. 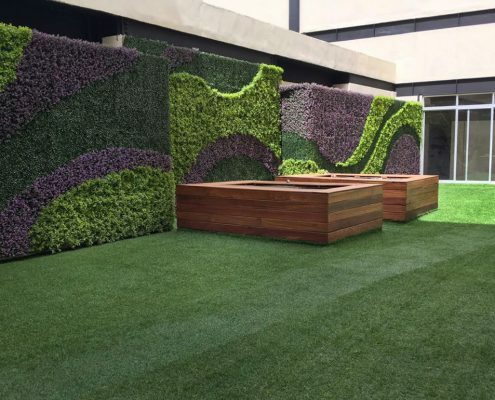 tape, artificial grass and green artificial walls. In December 2016 Regama del Bajío opened its doors at the new distribution center in Querétaro (Lomas de Balvanera) to cover the needs of the region’s customers and in September 2017 it opened a sales point on Av. Constituyentes 186D near the city center which has products on display and retail sales. 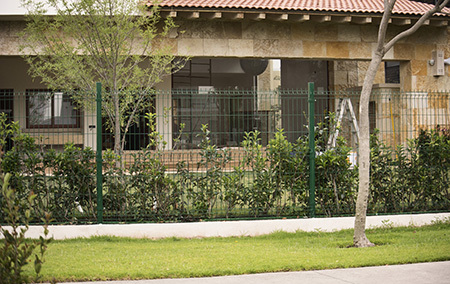 Regama del Bajío offers a complete service experience: free quotes, installation and supervision, delivery services, direct factory prices and two English speaking agents (Gabriela & Sergey). Do not hesitate to contact us on our cell phones 442 170 58 64 or 442 595 20 38 or via the contact form below.